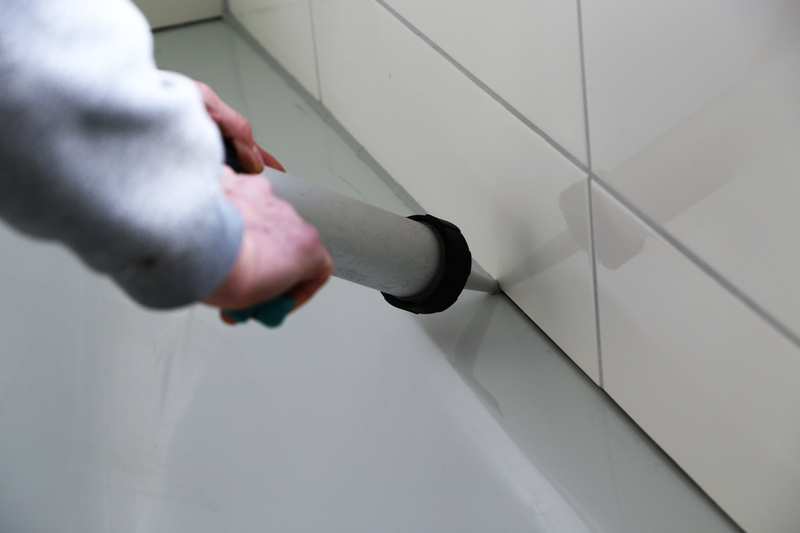 Caulk and seal air leaks where plumbing, ducting, or electrical wiring comes through walls, floors, ceilings, and soffit over cabinets. Seal air leaks around fireplace chimneys, furnaces, and gas-fired water heater vents with fire-resistant materials such as sheet metal or sheet-rock and furnace cement caulk. Fireplace flues are made from metal, and over time repeated heating and cooling can cause the metal to warp or break, creating a channel for air loss. To seal your flue when not in use, consider an inflatable chimney balloon. Inflatable chimney balloons fit beneath your fireplace flue when not in use, are made from durable plastic, and can be removed easily and reused hundreds of times. If you forget to remove the balloon before making a fire, the balloon will automatically deflate within seconds of coming into contact with heat. A reasonably capable DIYer can create an inexpensive, reusable fireplace flue plug by filling a plastic trash bag with fiberglass batt scraps and jamming it into the flue. Attach a durable cord with a tag that hangs down into the fireplace to (1) remind you the flue is blocked and (2) provide an easy plug removal method.